Chrysalis Vineyards is one of the easier vineyards to get to in Northern Virginia, just off Route 50 in Loudoun County. 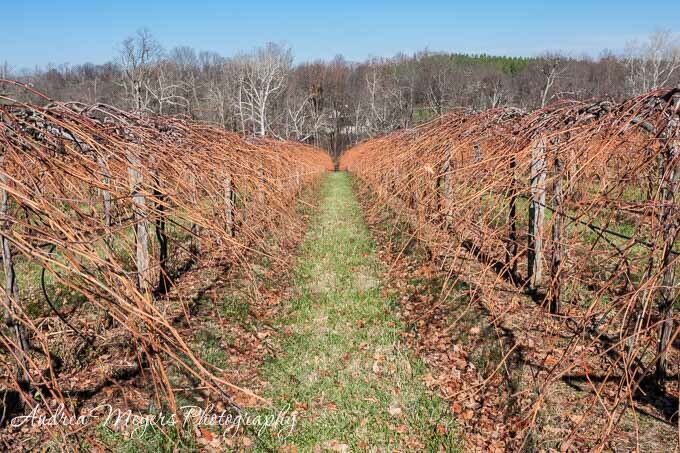 Set on 412 acres in the rolling hills of the Piedmont region, the vineyard specializes in unusual Spanish and French varietals and Norton, a native Virginia grape, as well as traditional grapes, a total of over 20 varieties. The tasting room is open daily from 10 to 5:30, and the friendly folks there will be glad to set up a tasting for you. My first visit to Chrysalis Vineyards was in late November before the Thanksgiving holiday. The harvest was over and the grapevines were mostly empty, save for some clusters of mostly dry grapes and a few dead leaves still clinging in the wind. A vineyard looks very different in cold weather, like it’s resting, waiting. Michael and I did a tasting, a mix of reds and whites, and I ended the day with three favorites. The first favorite is the 2009 Norton Locksley Reserve, a big red wine with peppery chocolate notes, one that I would savor with an elegant dinner of prime rib or lamb. My second favorite was the 2008 Papillon, a blend of Petit Verdot and Tannat, which yields a fruity red with touches of cedar and coffee and a hint of pepper. This is one that would age nicely and go very well with venison. And finally, one that I instantly thought of for summer pitchers of sangria, the 2010 Sarah’s Patio Red, a light semi-sweet wine that just needs some fruit and it’s ready to go. The winery is open year round, and I look forward to another visit this winter. Pour the wine into the saucepan and stir in the spices and orange peel. Warm over medium low heat until the wine is infused with the flavors, about 10 to 15 minutes. Just warm the wine, do not allow it to boil. Strain the spices and pour the wine it into mugs and serve. Garnish with cinnamon sticks or orange slices. I found that the Sara’s Patio Red wine, which is a 100% Norton, worked well for mulled wine. It’s semi-sweet and needed no added sugar, I just added spices to taste. 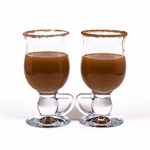 We Are Never Full – Drink of the Month December: Mulled Wine – What Else? I’m really enjoying your vineyard visits and the celebration of local wines. 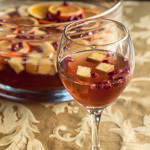 Though I don’t drink wine, I love to cook with it, and at this time of year, I love to serve mulled wine at parties. Thank you Lydia. The vineyards and farms here are beautiful and I love visiting them. Anytime you are in the area you should come and I’ll take you on a tour. We would have a great time! That’s pretty close to how I do my mulled wine too. And hurray for your shout-out to east coast wineries. Few people know about wines from regions like Virginia, Vermont, and Southern MA, but they’re producing great wines and often family-run. Thanks Diana, there are so many vineyards in our area, each producing different varieties. 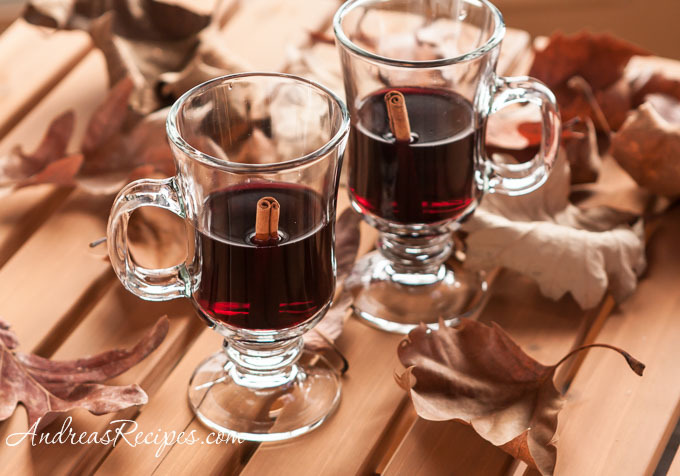 For mulled wine I use a basic mix of spices, then taste each wine and adjust the amounts of spices to match. My sister lives in VA and I keep trying to get her to notice the wineries there — I’ll pass this along to her. I haven’t had mulled wine in years, so need to try this. 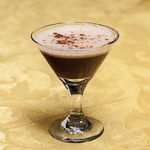 We’ve got a few parties lined up for the holidays and I need some new ideas to try. This looks to be just the right one.